One of my favorite pastimes, hobbies, and passions is reading old Hollywood biographies, memoirs, and autobiographies. I’m absolutely obsessed with them. When they happen to be about one of my personal favorites, I can barely make myself put the book down. I devour each word (often twice) and study the pictures as though I’m searching for hidden clues. Lucille Ball is one of my favorite television actresses… movie actresses…stars.. comedians.. oh, heck, she’s one of my favorite humans to ever draw breath. Let’s just leave it at that. I read everything about her that I can get my hands on. 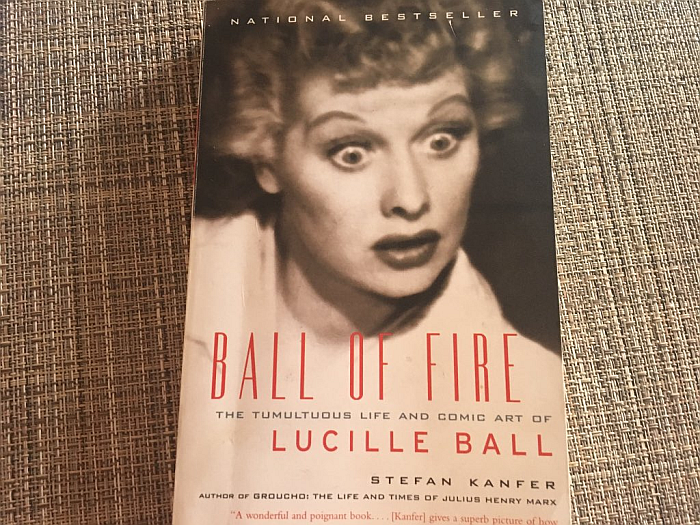 Ball of Fire is the latest Lucille Ball biography I’ve read and it’s easily one of the best. As a movie actress Lucille Ball was, in her own words, “queen of the B-pluses.” But on the small screen she was a superstar – arguably the funniest and most enduring in the history of TV. In this exemplary biography, Stefan Kanfer explores the roots of Lucy’s genius and places it in the context of her conflicted and sometimes bitter personal life. Ball of Fire gives us Lucy in all her contradictions. here is the beauty who became a master of knock-down slapstick; the control freak whose comic alter ego thrived on chaos; the worshipful TV housewife whose real marriage ended in public disaster. Here, too, is an intimate view of the dawn of television and of the America that embraced it. Charming, informative, touching, and laugh-out-loud funny, this is the book Lucy’s fans have been waiting for. If you love Lucy like I love Lucy (sorry, I had to), you’ll want to read this book cover to cover, possibly twice. 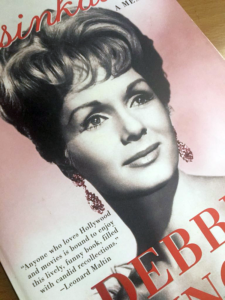 While we’ve all known and celebrated the fact that Lucille Ball was one of the most beautiful, talented, and gifted stars Hollywood ever saw, this great book is a reminder of the strength this lady possessed. 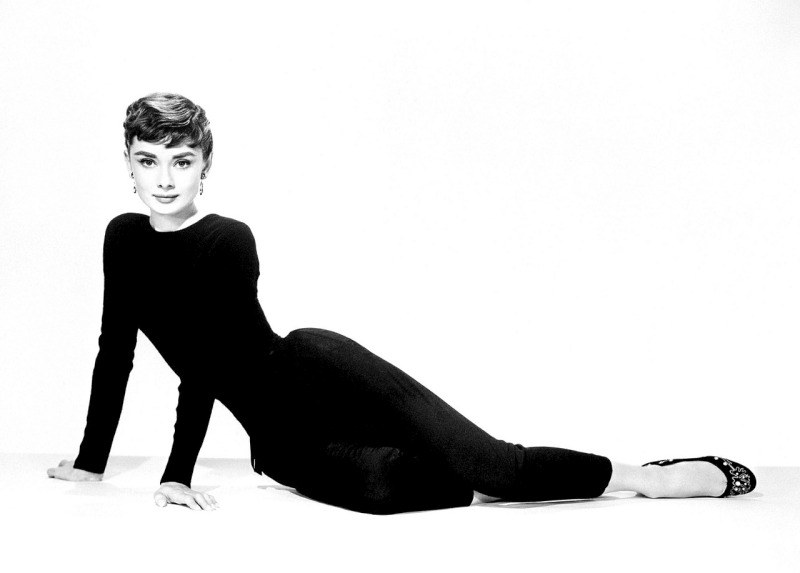 When you read about everything she had to overcome (and remind yourself that this was a time when feminine strength wasn’t celebrated as it is today), you realize that she never simply waltzed into stardom, she kicked, scratched, and clawed every step of the way. Needless to say, that makes her fans love her even more. While I love everything about this book, one of the things that stands out to me is the fact that the author doesn’t try to “steer” the facts toward any set narrative. As a fan of many actors and actresses from Old Hollywood, I have to say that this would be difficult (if not impossible) for me. If, say, I were writing a biography of any of my favorite stars, I’d want desperately to show them at their best on each page of the book. I’d steer everything in a preconceived direction… Happy Town, U.S.A.
Warts? Not a one. Negative actions? Never! How dare you ask? Promiscuous? I should say not! See why I don’t write biographies… everyone would come off like a choir boy or Sunday school teacher. To be able to give an accurate, beautifully rounded portrait of an individual takes a lot of talent and, I’d wager, self-control. 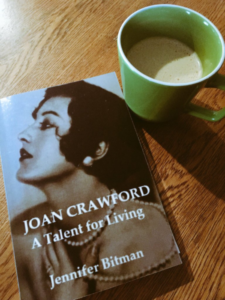 As an avid reader of Old Hollywood biographies, I’m overjoyed that such authors exist. After all, none of us expect our favorite stars to have been perfect – even the men and women (except for One) in the Bible weren’t perfect! It’s the imperfections we identify with – the weaknesses that we love seeing them overcome and the demons we love seeing them defeat. It makes them more real to us and makes us love them even more. Author Stefan Kanfer does a beautiful job of showing complete respect to Lucille, Desi, William Frawley, Vivian Vance, and the many other household names who “guest starred” in our favorite Lucy’s life. 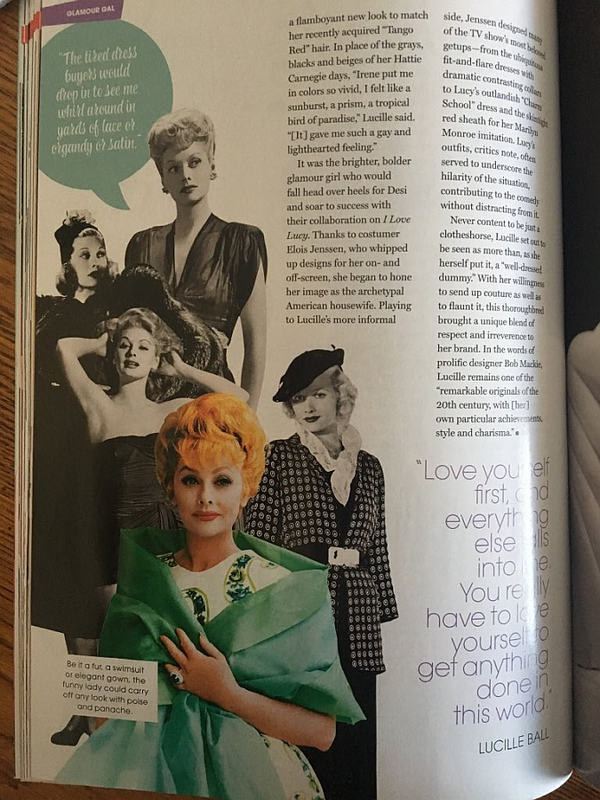 This particular biography gives us a beautiful look at the mesmerizing life of Lucille Ball – from her earliest days to her last days. While it would be impossible to give the totality of a life within one book, Mr. Kanfer comes alarmingly close. 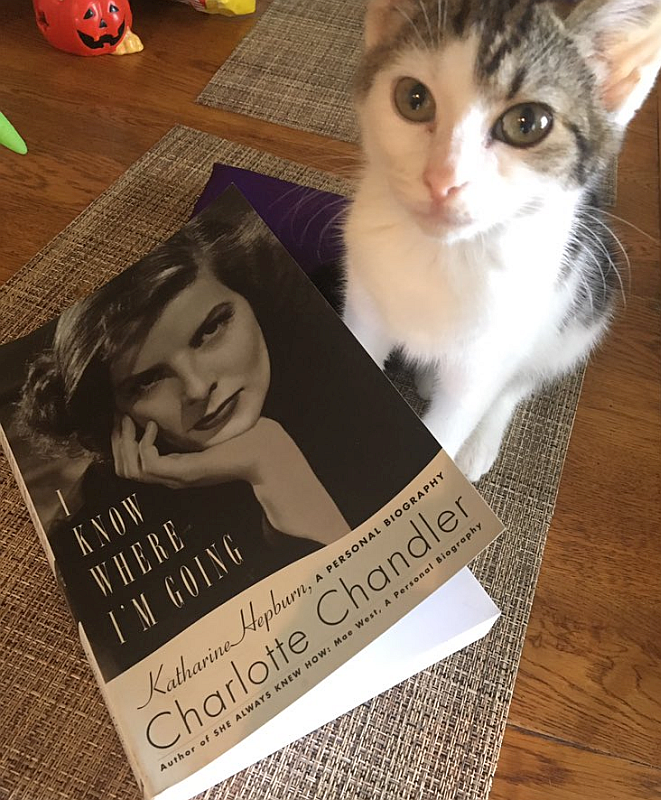 I feel like I know her better after this book than I did before and, as someone who truly adores Lucille Ball, I will forever be thankful for that. As a Lucille Ball fanatic, I’m sure you won’t be the least bit surprised to know that I can recite episodes of I Love Lucy along with the stars. I know what they’re going to say right before they say it and yet laugh each time as though it were the first time. That’s the magic of the stars, the writers, and everyone involved. While Ball of Fire (obviously) focuses on arguably the greatest comedic talent of all time, herself, there is gold… and a lot of it… for fans of I Love Lucy. 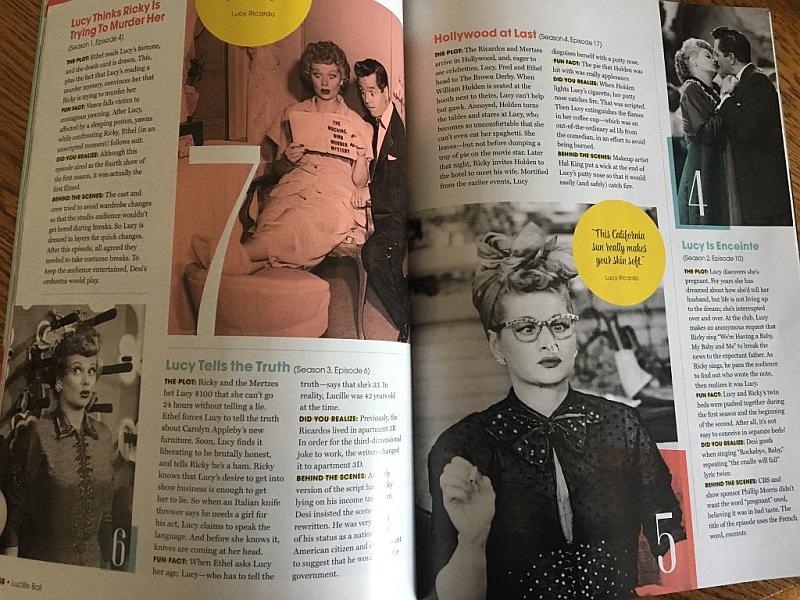 Even I read stories about casting (William Frawley, Vivian Vance, and memorable guest stars) in Ball of Fire I’d never heard… and I was pretty sure I was a walking/talking/coffee-chugging I Love Lucy encyclopedia! I honestly don’t want to give anything away, here, because I want you to read the book for yourself and be just as surprised and delighted with each turn of the page. 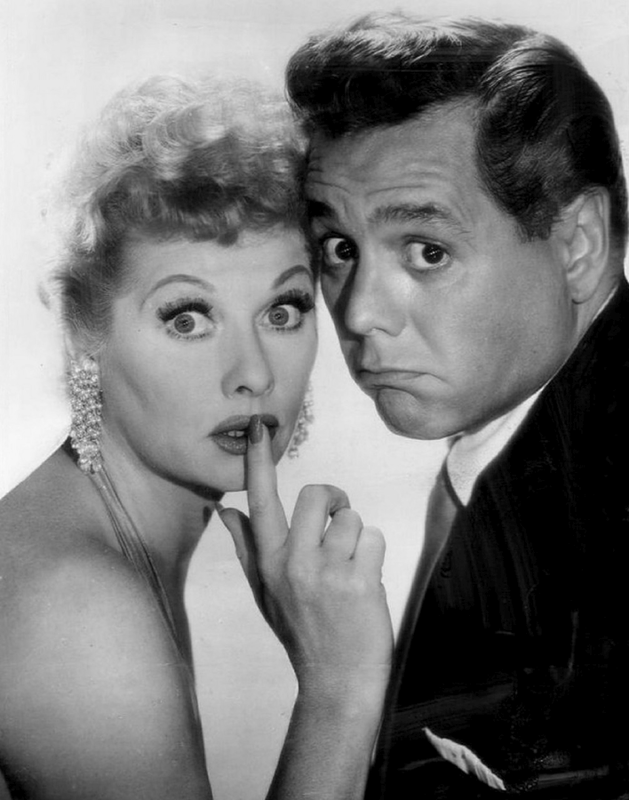 I will say this, however – I’ve always known that Desi Arnaz deserves more credit for his acting and comedic genius. After reading Ball of Fire, I realize that he deserves A LOT more credit for the success of the series. He was more active behind the scenes than most of us would have ever guessed and he may have had one of the greatest eyes for casting of all time. He was more than just a source of facial expressions for Lucy’s antics or verbal expressions for Lucy’s humor – he was one of the driving forces behind the series. I desperately want to find a read a biography of Desi Arnaz after reading Ball of Fire because it has caused me to be even more of a fan of this complex, talented, diverse, and often complicated man. I only wish this particular author would write such a biography! As I said, I refuse to give any of the wonderful details or stories away but I want to implore you again… if you’re a fan of I Love Lucy, you’ll love the amount of time devoted to the series. I read and reread the pages and am looking forward to pulling out my dvds and finding the episodes mentioned. The Grape-Stomping episode will be one of the first I re-watch! I’d better move along before I DO give something away. Not only is this book, at heart, a love story – it’s one of the best love stories you’ll ever read. When I read (pages 63-65) about the first time Lucille an Desi met, I literally had goose bumps. Now, I know the word literally is overused and misused these days but trust me – I’m neither overusing or misusing. I legit had goosebumps as well as a lump in my throat. The feelings would return (often along with teary eyes) when the author talked about Lucy’s desire to have children, when the marriage began (and continued) to unravel, and when both Desi and Lucille died. The love these two gifted stars shared for one another was absolutely palpable. 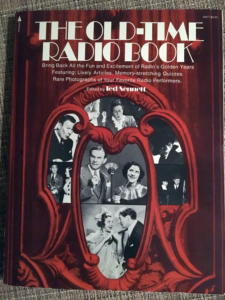 When you read the book, it becomes more clear than ever that Lucille and Desi were soulmates, just as Lucy and Ricky were. Sadly, soulmates don’t always go the distance with one another – especially when Hollywood is concerned. Hollywood is like a whole other world and very few couples navigate it from start to finish hand in hand. I’m convinced that, had they lived in any other place, they’d have made it. As I’ve said many times on Hollywood Yesterday, old movies, classic television, and Old Hollywood biographies are part of my DNA. I love for an author to take me on a journey where I’m able to spend time with current favorites and meet stars who I become so smitten with, they often go on to become favorites. A notable star this happened with was Carole Lombard. 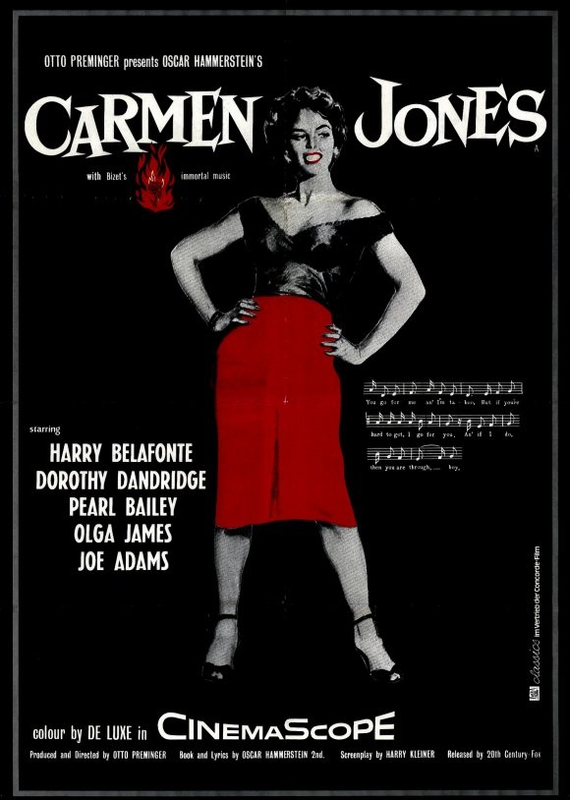 Her name kept popping up in various biographies (Lucille Ball, Ginger Rogers….) and she was always such a scene-stealer that I sought out more information about her. I found that she was, indeed, beautifully colorful and wonderfully full of life. 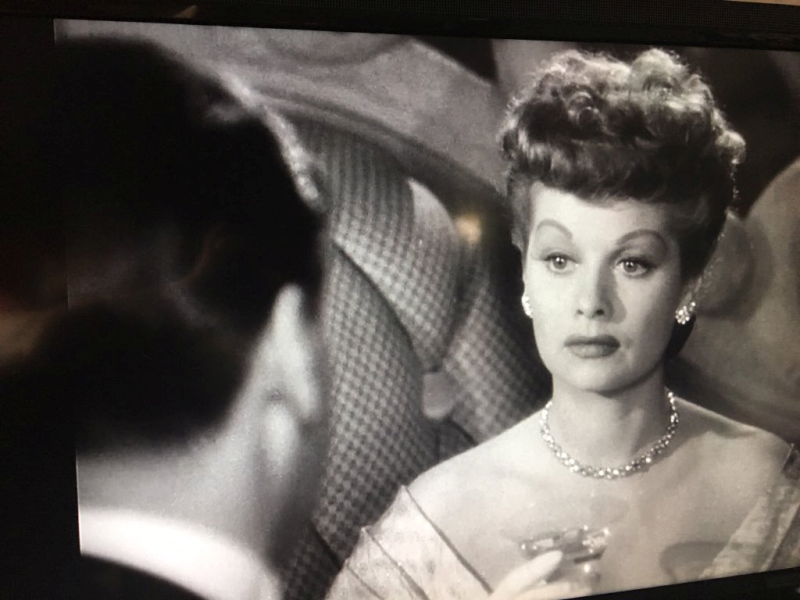 She, along with other household names (Clark Gable, Ginger Rogers, Claudette Colbert, etc) are here in Ball of Fire – woven into the fabric that is the magical life of Lucille Ball. They add to the mystique and heighten the magic. What more can I say? This is a breathtaking book and I really hope you read it as soon as possible. Ball of Fire is available on Amazon in paperback for less than $5 and hardback for not much more. EDIT: I just searched for the author (Stefan Kanfer) on Amazon – determined to buy any and all biographies he has written. Am I ever in luck? He has several – so, needless to say, you’ll be seeing the reviews soon! Obviously, I am someone who is utterly consumed with the Golden Age of Hollywood… or Classic Hollywood, Old Hollywood, Hollywood’s Golden Era… whatever you choose to call it, I jumped into it when I was around 12 years old and have proceeded to dive deeper with each passing year. Never you mind what depths I’ve reached. When you’ve seen the number of movies, actors, and actresses I have, you have a difficult time narrowing down your absolute favorites. This is evidenced by my healthy lists of favorites on the Hollywood Yesterday About Page. However, the cream of the crop or the “favoritest of the favorites” would make a list if it had to include only a handful of stars. 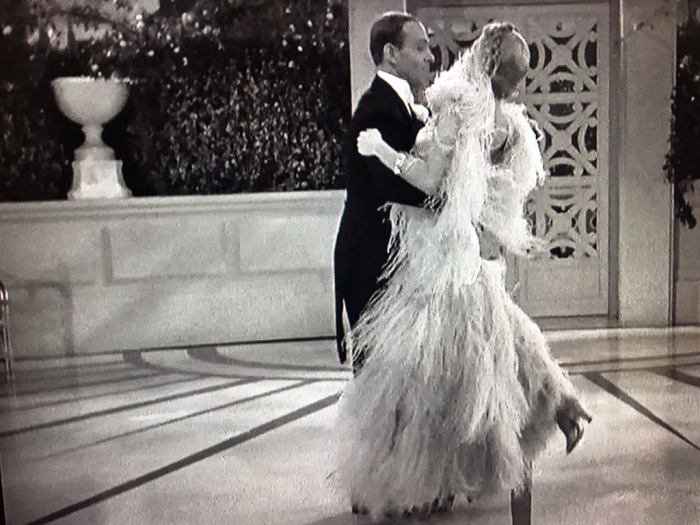 Lucille Ball and George Sanders are two of my.. well… favoritest of favorites and I cannot conceive of any “favorite list” they wouldn’t make. Not only were these stars incredibly talented, they had that extra little spark that few stars actually had of have. The spark that cannot possibly described. It’s just there. An extra something in their expressions, in their voice, and even in the way they move. Lucille Ball and George Sanders each had this mystery spark and in large doses. 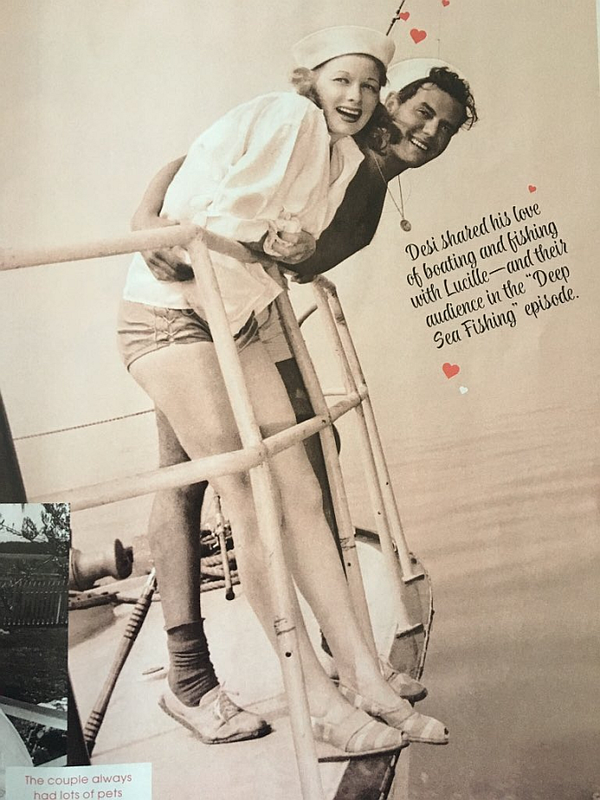 The fact that they starred in a movie (Lured, 1947) together seems like a personal gift to me , straight from Old Hollywood. The fact that the movie is so deliciously good makes it all the better. 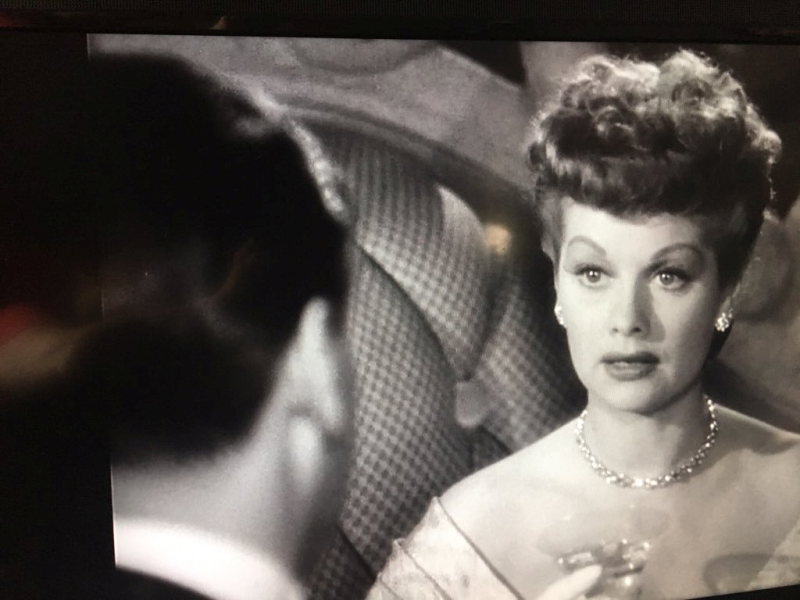 In Lured, Lucille Ball is not remotely like the Lucy we’re familiar with. In place of gags, there’s glamour… and tons of it. She shows incredible versatility and talent that even we, her biggest fans, sometimes forget she possessed. 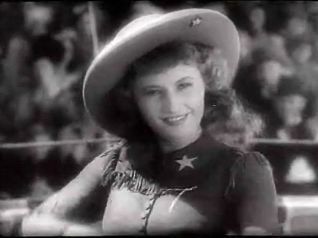 Lucille Ball plays an American nightclub dancer (Sandra Carpenter) in London. Her friend has been murdered and she is recruited by the police as a decoy to catch a serial killer. The killer finds his victims through the newspaper personal ads. George Sanders is her leading man and plays Robert Fleming, a mysterious and (very) wealthy man. Their chemistry is off the charts. There were actually rumors around Hollywood that the two stars had a fling, but there’s certainly no proof to back it up. The chemistry, however, is palpable. In addition to the two stellar leads, the movie has a really strong cast. Charles Coburn (as a lovable Scotland Yard inspector), Cedric Hardwicke, Alan Mowbray, Boris Karloff , Joseph Calleia, and George Zucco. Boris Karloff dives in head-first in his role as a dress designer. Lucille Ball and George Sanders are unmistakably the stars here, though – make no mistake about it. Each is phenomenal. The first time I watched Lured, I was so blown away by Lucille Ball’s performance (and beauty) that I didn’t give George Sanders the attention he commands. I think it’s simply because I grew up seeing her as Lucy Ricardo or one of the other Lucy characters from television. Sandra Carpenter is about as far-removed from Lucy as it gets. Subsequent viewings have allowed me to appreciate George Sanders in this movie as much as Lucille. 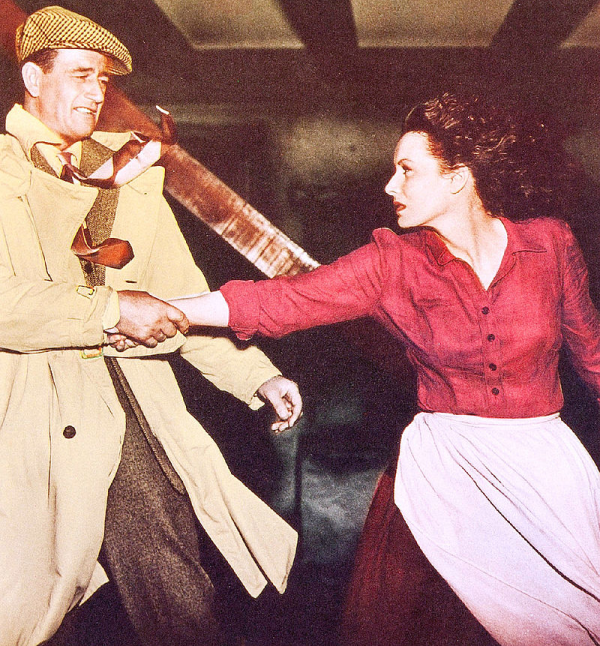 You may remember Sanders from The Ghost and Mrs. Muir (as Miles Fairley), the Saint movies in the late 1930s and early 1940s (as the Saint), The Picture of Dorian Gray (as Lord Henry Wotton), Rebecca (as Jack Favell), or as Mr. Freeze in the Batman TV series (1966). His roles were kind of all over the place, but he was never anything aside from completely compelling – stealing the scene right out from just about anyone. Except for a glamorous red-head we all know and love, that is. No one, but no one, steals a scene from Lucille Ball. If you love old movies, Lucille Ball, or George Sanders, Lured should be one of the next movies you watch. If you love all three… this HAS to be the very next movie you watch. It’s an especially fun whodunit and you’ll be glued to every minute. Like all fans of Old Hollywood, I have my own personal favorites from the Golden Era. You can pretty much tell my absolute favorites simply by looking around Hollywood Yesterday. See an abundance of Lucille Ball, Audrey Hepburn, Ava Gardner, Rita Hayworth, Barbara Stanwyck, Abbott and Costello, Westerns, and Musicals? There’s a reason for that. I never learned how NOT to play favorites. Some favorites come and go (depending upon the last seen movie, the mood, the weather..) but Lucille Ball has been an absolute favorite for as long as I remember. Just looking at pictures of this remarkable actress makes me smile. There’s simply a special place in my heart for Lucille Ball. Maybe it’s because I grew up watching her so often that she feels like family. Maybe it’s because my favorite thing to do in the world is laugh and her favorite thing to do in the world seems to have been to MAKE people laugh. Maybe it’s because, while beautiful, she didn’t have to rely on that alone. Maybe it’s because she dared to go where few women had gone before and risked everything in the process. More than likely it’s a combination of each of these things. Whatever the reasons, I love Lucy as much as anyone loved or loves Lucy. 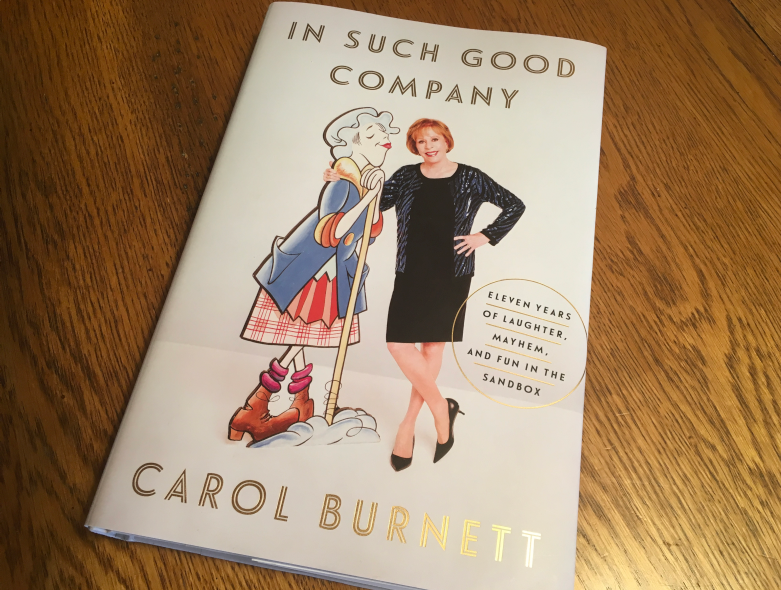 Books, mugs, calendars, dolls, mementos… I love to surround myself with anything and everything dedicated to this wonderful actress and comedienne. The dolls in this post? Let’s just say I’m ready, willing, and able to give them a forever home right now. In fact, I’ll just go ahead and clear a few shelves right now. Click through the links or the images to read more about these beauties. The adorable Lucy Gets in Pictures Doll (on the left, in the pink dress) celebrates the episode of the same name (“Lucy Gets In Pictures”) which originally aired on February 21, 1955. Get a load of them lips, man! There is also a hilarious I Love Lucy Ballet Doll which is, as you’d imagine, “posed” for trouble. Let’s face it, how we love Lucy best! This was definitely one of the funniest I Love Lucy episodes. Any episode that allows the beautiful redheaded clown to reign supreme is a can’t-miss. Finally, we have the Lucy Vitameatavegamin Doll, paying tribute to one of the most memorable episodes ever. I re-watched (for possibly the eleven-billionth time) the Vitameatavegamin episode recently and she left me speechless. Her comedic timing was completely and utterly flawless. She had a one-in-a-million knack for allowing the writing to shine through. 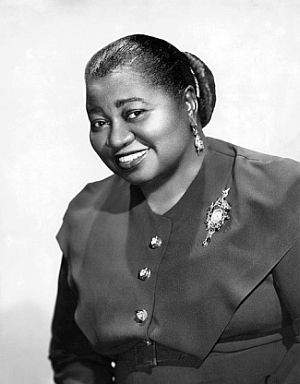 She never over-sold anything or tried to outshine anyone… she simply did that by showing up! She really was one of a kind. Okay, how much do I love this beautiful I LOVE LUCY Charm Bracelet from The Bradford Exchange?! You have no idea. See, the thing is, not only do I love Lucy like few have ever loved Lucy, guess what I also collect? Right…you guessed it… bracelets. In fact, more times than not I look like a gypsy left to her own accord. I Love Lucy charged onto the scene over 60 years ago and changed tv comedy forever. What’s more, it changed the entire landscape for actresses on television. 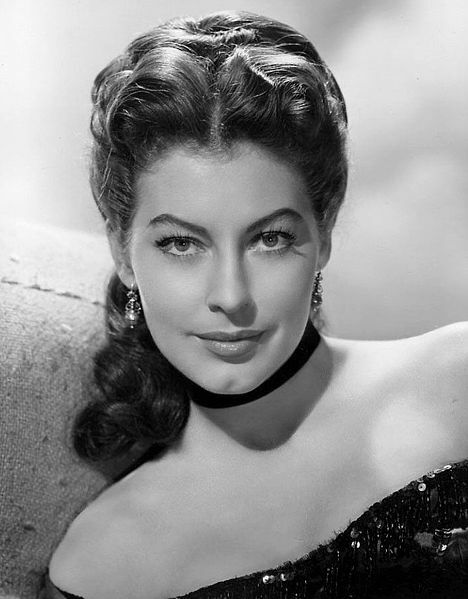 She paved the way for women as actresses as well as producers, writers, and directors. She proved that women are easily as capable as their male counterparts. 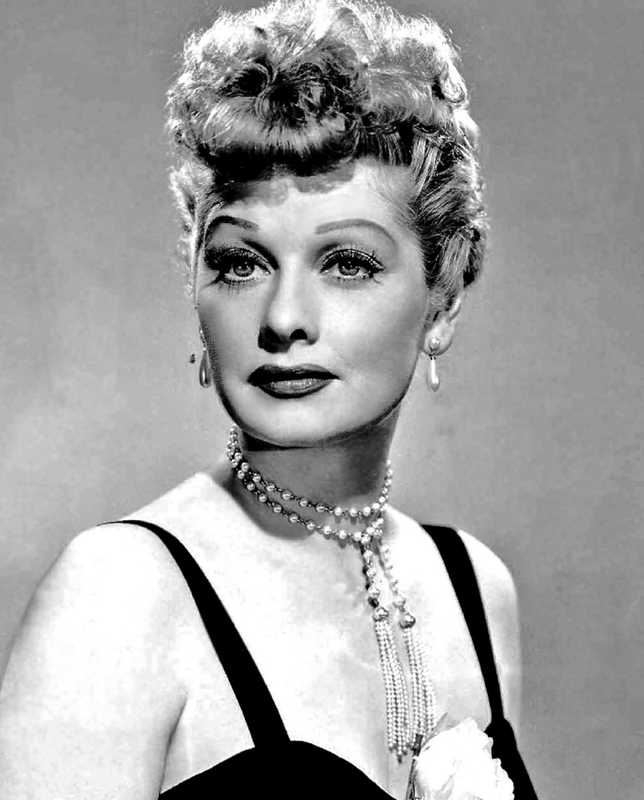 In my opinion, we owe more of a debt of gratitude to Lucille Ball than we will ever realize. This charm bracelet is a perfect way to pay homage to this groundbreaking show and its legendary redheaded star. It features 7 charms, including 5 retro-style TV charms that each showcase a unique scene from a classic episode on the front, with the name of the episode and the year it aired etched on the back of the charm. The handcrafted charms are plated in shimmering sterling silver and accented with rich 18K-gold plating and bright enamel. In addition, there are 6 sparkling Swarovski crystal briolettes, a signature charm and an I LOVE LUCY logo heart charm to complete the bracelet. 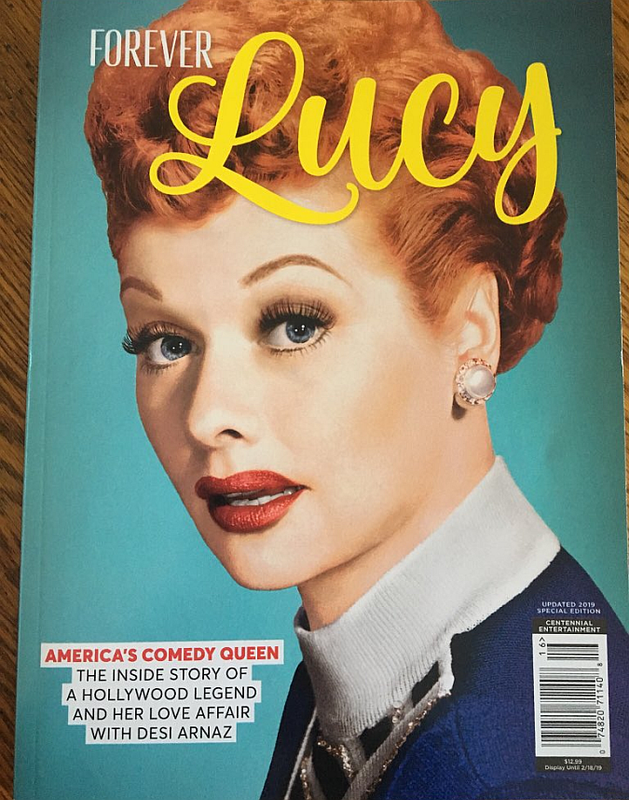 This is simply exquisite and would light up any Lucille Ball fan’s world! See I LOVE LUCY Charm Bracelet for more information.